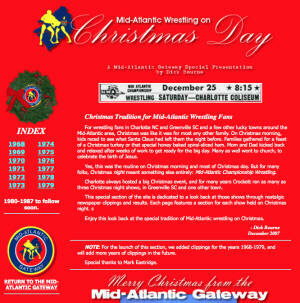 As we do every year about this time, we've linked to an old feature that is still found on the Mid-Atlantic Gateway archive that features the newspaper ads for Jim Crockett Promotions Christmas Day shows in the years 1968-1979. We will eventually (maybe?) get around to adding 1980-1988, but until then enjoy these great memories from days gone by! Chappell: You’ve talked about George Scott a lot, did you perceive the booking being different or better in other places you worked? 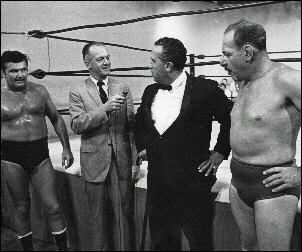 Brunzell: In Minneapolis in the AWA and in the Central States, and s#@t, in Central States nobody, I mean Geigel and O’Connor were going to keep themselves on top, and book the rest of us to fill the card. 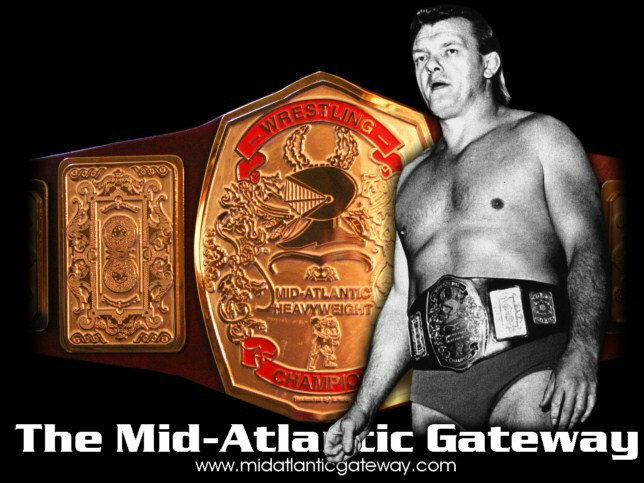 You know, the AWA was managed so well and then when you got in the Mid-Atlantic and the NWA, I mean, you could see the writing on the wall in terms of what they wanted to do. But it was just no comparison. Chappell: But you did enjoy your Mid-Atlantic stint? 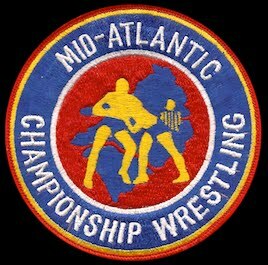 Brunzell: I enjoyed Mid-Atlantic. Like I’ve told you before, when I left Charlotte I was in the best shape of my life. Honest to God, we wrestled every night and long matches. It was a great time. It went by like a flash, the amount of time I was there. The weather was great, and I just wish we would have had a little more time to enjoy the family. But that’s just the way it was; that’s the way George conditioned it. Chappell: Have you kept up with any Mid-Atlantic guys over the years? Brunzell: I know George passed away. I see Steamboat; I saw Ricky at the Cauliflower Alley Club in Vegas in April which was fun. (laughing) And I see Ric occasionally; he’s going to be 68 shortly! He’s still involved and it’s funny, David, because as a former University of Minnesota athlete, I work with the M Club during the football games. And we have an M Club room to reminisce with guys…it’s been 45 years since I’ve played football there. Brunzell: But it’s funny, because up on the screen they have a video that they put out and they use Ric two or three times doing his ‘WOOO!’ It’s incredible; it’s great! Chappell: That’s been done down here at sporting events as well, particularly in the Carolinas. The ‘WOOO’ has definitely made its mark! Chappell: What did you do in the interim? 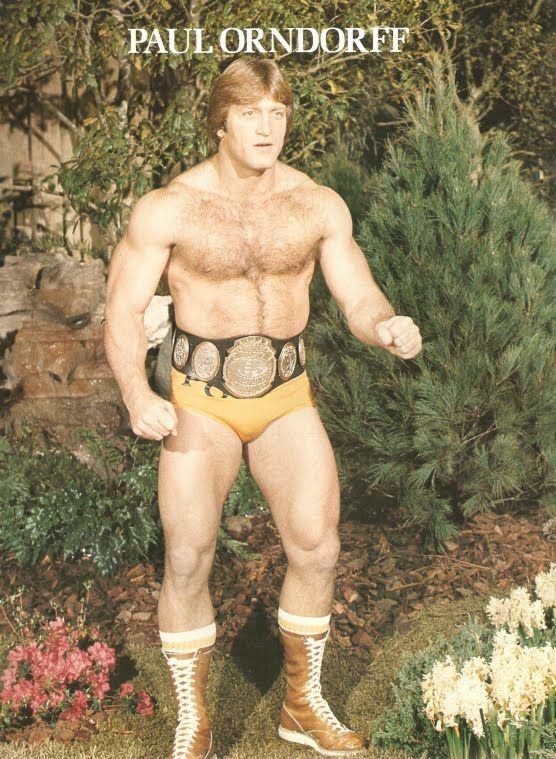 Brunzell: So meanwhile, I worked for Jim Barnett in Atlanta…I don’t know how long. But that was really a circus there, honest to God! Chappell: Did you then restart with the AWA? 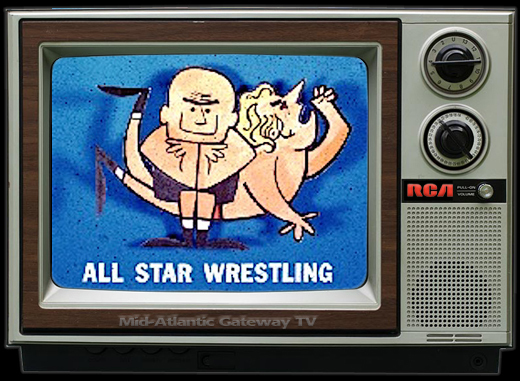 Brunzell: [The AWA] wasn’t quite ready for me, so they booked Nick Bockwinkel and I in Japan as partners, upholding the AWA. So, we went over there for four weeks, then we came back and Greg and I teamed up again. When Jim Barnett told me leaving Atlanta would be the biggest mistake of my life, that next year in ’81 I made $80,000 which was the biggest salary I had made up until that time! Chappell: I think you did just fine for yourself, Jim! Brunzell: (laughs) Yeah, I made the biggest mistake of my life, and five years later Jim Barnett is working in New York and I see him there a couple of times! It’s funny, this world in pro wrestling is so small…you run into people all the time. And you try to be a good person and treat everybody in the way you’d like to be treated professionally. I was very fortunate during my career that I had a lot of just great friendships. Guys really helped me and I benefited from them and it was a great experience. Chappell: By the time you saw Jim Barnett again, this time in New York, the business was really changing. Brunzell: I hated to go to work for New York, because I knew things were changing. It never was the same, and it still isn’t, you know? Brunzell: I look back on all the talent that I was so fortunate to learn from in the areas that I went. 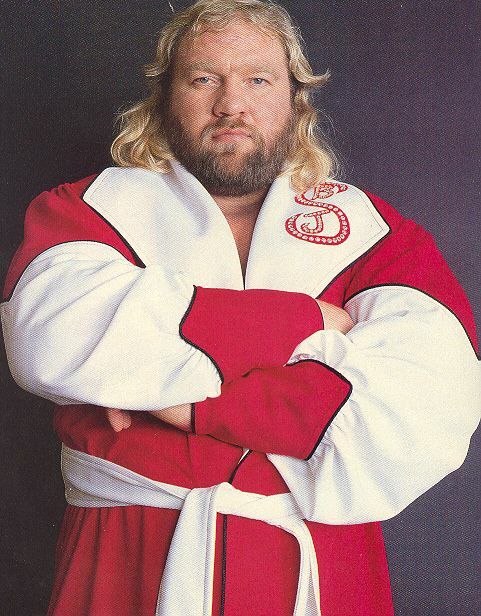 Like in the AWA, the Central States and in the Mid-Atlantic…and I can honestly say that I didn’t learn too much in New York because it was so contrary to what I’d been taught. Chappell: In so many ways! As we start to wind down Jim, your book which you’ve mentioned a few times is fantastic. Please tell everybody a little bit about it specifically. Chappell: It’s great history, but very entertaining as well. Brunzell: It’s worked out real good. 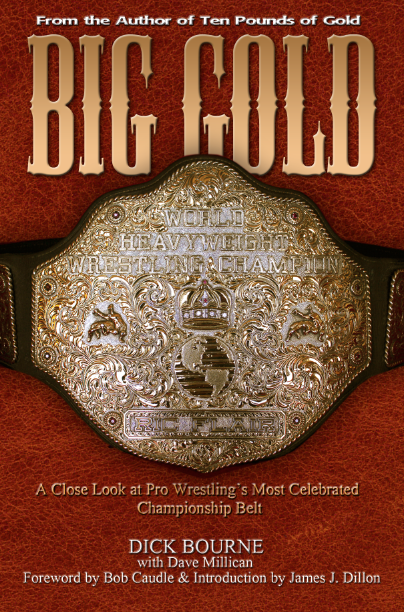 A good buddy of mine, Hillbilly Jim Morris, just recently did a book that he sent me. It’s so funny, because a number of the guys are writing books now. 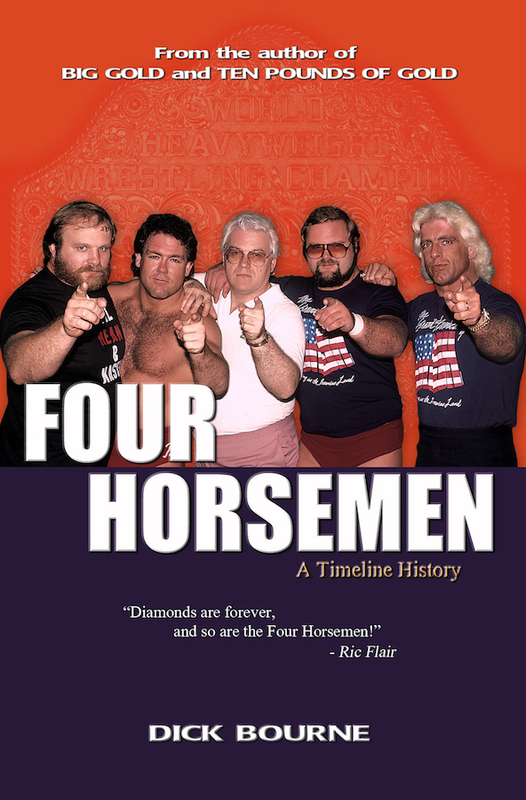 Bob Backlund’s got a book, and I think One Man Gang’s got a book. 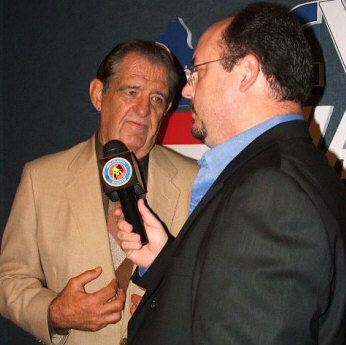 You think of all the guys that have worked for so many years, and it’s great they’re putting togther something of their path, and where their path led in the world of pro wrestling. Brunzell; You know, it’s fun to look back. Matter of fact, Brian Blair and I are going to go to Germany next year for three days. You still have a worldwide market. People can see you all over, and they can see the old tapes. Chappell: How are you doing health-wise these days, Jim? Unfortunately a good many of your wrestling brothers are having some tough times in that regard. Brunzell: I feel very fortunate that I didn’t really have any real serious injuries during my career. Although, I’ve had a shoulder replacement, a hip replacement and a knee replacement as a result of that career. But I think anybody that was in the wrestling business over 15-20 years is gonna need some spare parts! Chappell: I know in a number of your Mid-Atlantic interviews you talked about a big part of your success revolved around your ability to stay healthy, so it’s good to hear that you practiced what you preached! 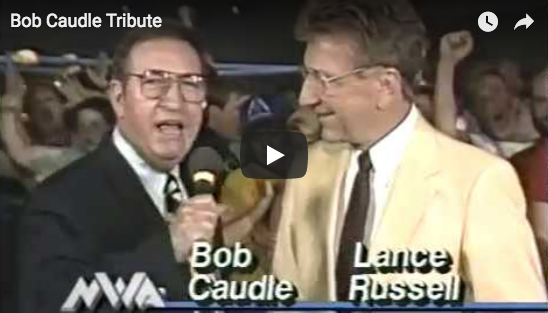 Brunzell: For sure; I was very fortunate. 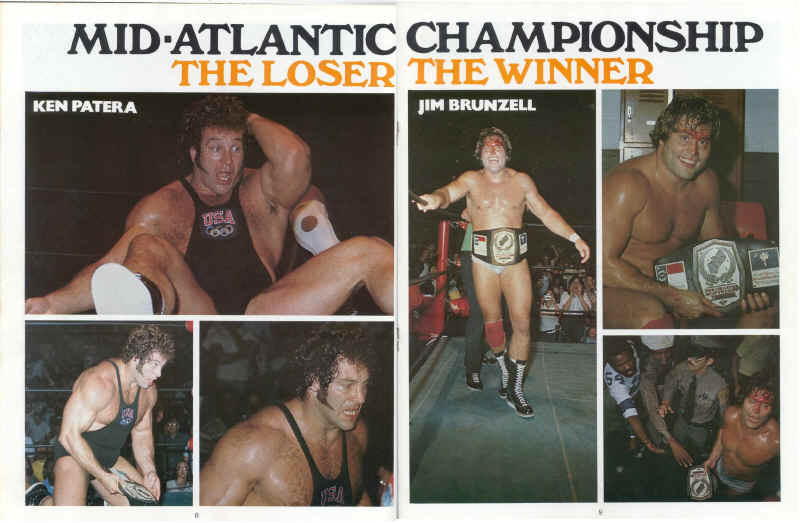 Stay tuned for PART SIX where we wrap things up with Jim Brunzell and he talks about many of his fellow wrestlers in the Mid-Atlantic area. 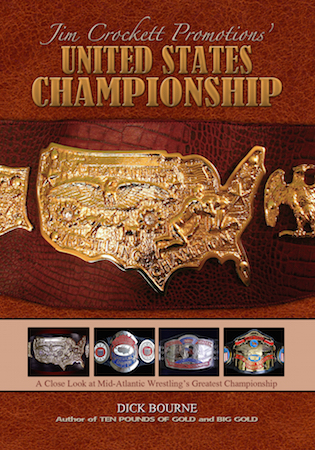 The premier 4-page issue of the "Ringside" newsletter for the United States Wrestling Club arrived in the late spring of 1981. 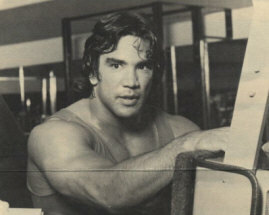 The first feature article was editor Steve Waid's interview with Ricky Steamboat about his interest in body-building. Steve photographed Ricky working out at the gym. The issue also included "Club News" from Jim Crockett, Jr., an enrollment form, and letters to the editor. One of the reasons professional wrestling superstar Ricky Steamboat has made it to the top of his sport is that he maintains a sleek, powerful physique. Certainly Steamboat has one of the best-built bodies in wrestling, and the strength it generates has helped him win many matches he might otherwise have lost. To become a professional wrestler takes hard work, but Steamboat had to work that much harder to perfect his body. Years of sweat and sacrifice are required to produce the kind of physique which ultimately helps make champions. Body-building not only improves the look and tone of the physique, it also helps in the ring. Steamboat added that ligaments and tendons are often twisted during a match, and injury can result if the wrestler’s muscle tone isn’t good. Steamboat’s workouts can be rigorous. Working with dumbbells, weights and Nautilus machines is a tedious process – and at times a painful one. When Steamboat undergoes several weightlifting repetitions, it’s not unusual to see him sweat, strain and groan. He advises that no one who wants to become involved in body building undertake the exercise he does. It takes time to rise to his level of proficiency. And no one should attempt any sort of body building program without a doctor’s approval. Steamboat emphasized that the biggest thing for any body builder is to stay healthy. Diet plays an important role in body building and Steamboat pays careful attention to his. “When I am preparing for competition, I go on a low-fat, low-carbohydrate diet,” he said. When he is not preparing for competition, Steamboat relaxes his diet only a little. He eats fruits (which he also eats in his more strenuous program), steak, baked potato and sometimes, even dessert. Judging from the mail and phone calls received, the response to the United States Wrestling Club has been tremendous. Hundreds of wrestling fans across the country have responded to our USWC membership drive and it looks like the club is going to be a big success. To become a member of the USWC, Just send a $15 membership fee to the United States Wrestling Club, P. O. Box 3854, Charlotte, NC 28203. Don’t forget to include your name, address and zip code. Being a member entitles you to discount tickets on a regular basis to wresting matches in your area. You will also receive the Club Newsletter, “Ringside” every two months. 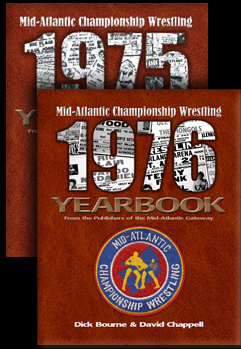 This will feature in-depth stories on your favorite wrestlers, along with photos, club news and other items of interest to wrestling fans. 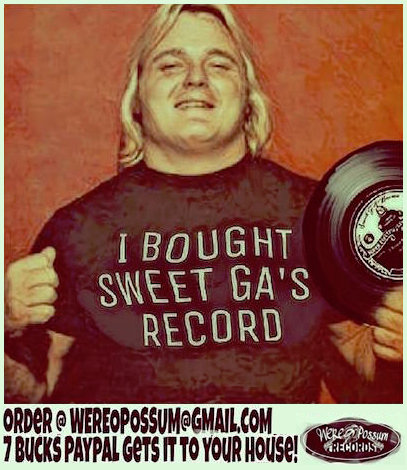 You will also received a colorful membership card, which will entitle you to special 10 percent discounts on wrestling posters, t-shirts, wrestling jackets and other items. And there’s a big bonus. As a member, you receive at a discount, Wrestling Magazine, a publication which highlights wrestling on the local and national level. 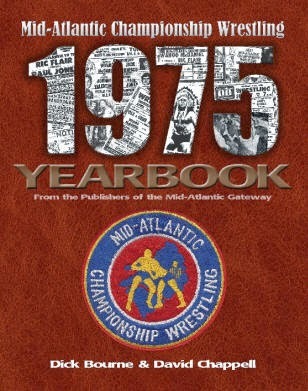 It also features profiles and interviews with the wrestlers, as well as some first class photos of your favorites. As a USWC member, you get Wrestling Magazine for just $10 for six issues, and it’s a regular $18 value. Don’t wait – join the United States Wrestling Club today and get in on all the action. 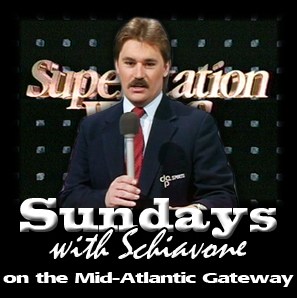 (3) the "I Quit" match and bloody feud over the United States title with magnum T.A. And when you think of someone accompanying Tully Blanchard to the ring, you immediately think of his "Perfect 10" Baby Doll in 1985, and James J. Dillon with Tully Blanchard Enterprises and the Four Horsemen in 1986. 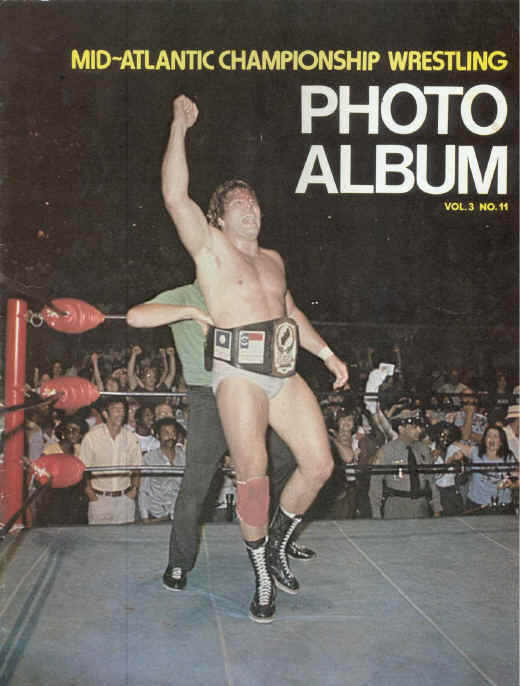 What seems to be largely forgotten in the lore of Tully Blanchard is his first manager in 1984 that led him to his first championship for Jim Crockett Promotions. Not long after Tully arrived in the Mid-Atlantic area in 1984, he took on Paul Jones as manager. 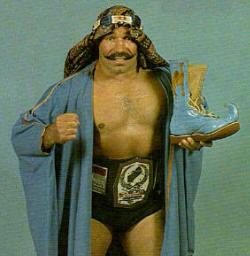 Jones had a legendary career as a wrestler in the territory going back to the 1960s, and had retired in 1983 as an active competitor to take up the role as manager of champions. 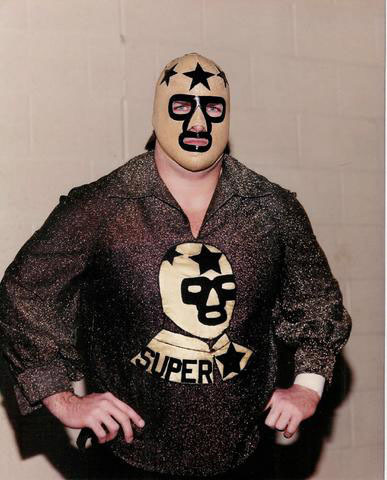 He guided Dory Funk Jr. to the Mid-Atlantic Championship in 1983 and would later guide Manny Fernandez and Rick Rude to the NWA world tag team championship in 1986. 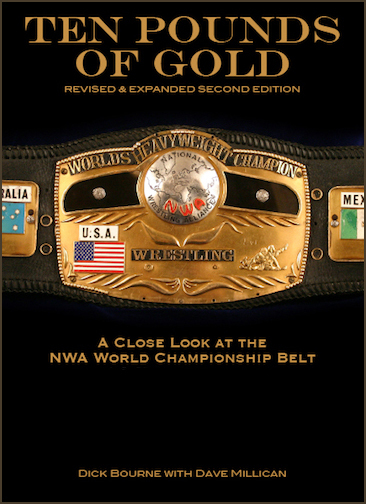 But in 1984, he managed Tully Blanchard as Blanchard defeated Mark Youngblood for the NWA Television Championship. In fact, Jones was very instrumental in Tully's win, as you will see in the video below. This video shows the finish to the match where Tully won the TV title from Youngbllod. 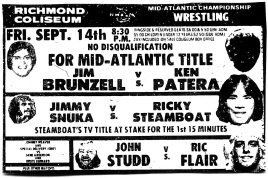 The referee is Stu Shwartz and the match takes place on "Mid-Atlantic Championship Wrestling" hosted by Bob Caudle. 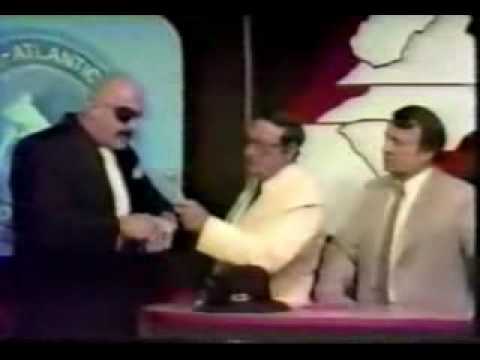 Also seen in this video are some local promos from a Greensboro card featuring Blanchard, Ernie Ladd, Don Kernodle and Ivan Koloff. 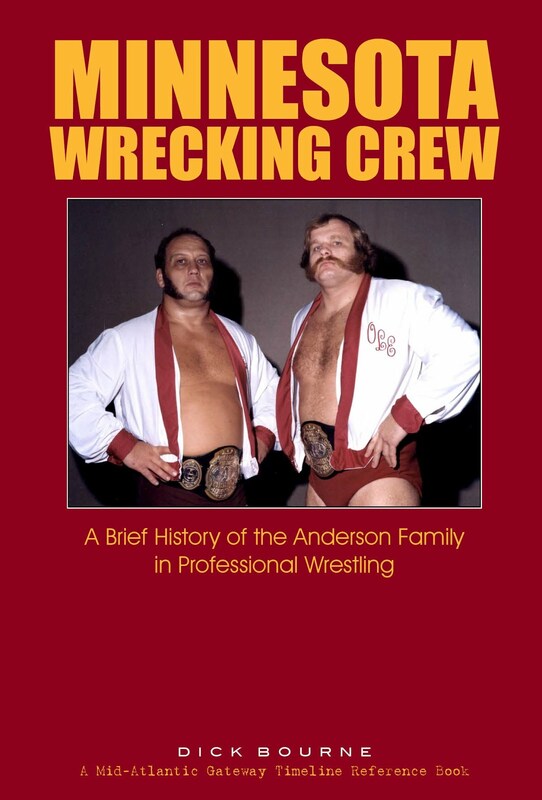 Thanks to my friend Brian Rogers who forwarded this link to me which reminded me of Paul Jones' key role in the early career of Tully Blanchard for Jim Crockett Promotions. 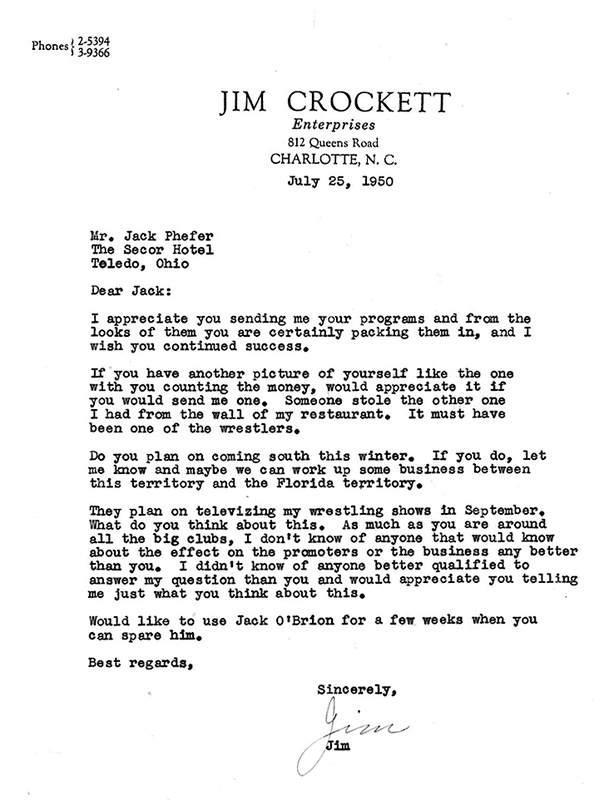 Historian Matt Farmer recently posted on his twitter account (@mattfarmer93) a letter from Jim Crockett, Sr. to Jack Phefer, a famous (and sometimes infamous) pioneer promoter of pro-wrestling from the 1920s to the 1960s. 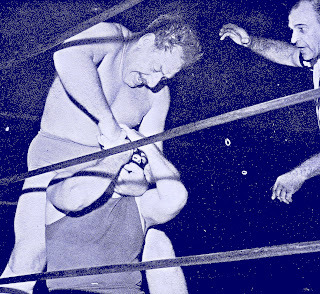 The letter was written in July of 1950 and is seeking advice from the veteran promoter Pfefer, who at various times promoted or booked wrestling in New York, Ohio, Tennessee, Masachusetts, and Illinois. We're particularly interested in the restaurant Mr. Crockett mentions in the second paragraph in the letter, in relation to a framed photograph he thought to be stolen. "Crockett first worked out of his home. Then he owned a series of restaurants - the Queen's Soda & Grill, a predecessor to the Town House on Providence Road; the Ringside Soda Grill in Elizabeth; Wesley Heights Grill; Jim & Jake's. The restaurants were his office." 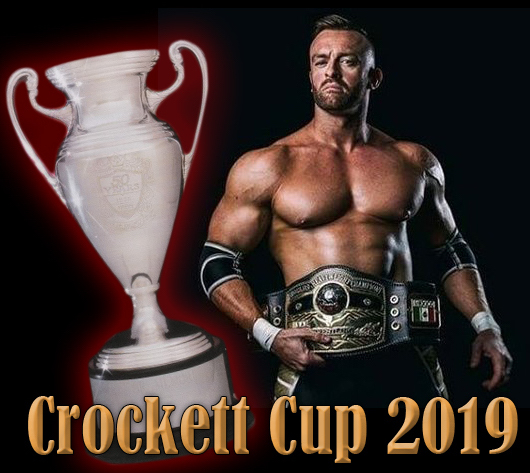 As always, we're hoping to eventually learn more and will report back here at that time.We love these little bits if history about Mr. Crockett and Jim Crockett Promotions. 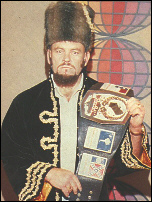 Filed under: 1950s, Jim Crockett Sr.